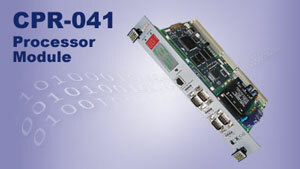 Microsol's XCell Processor Module ( CPR-041) combines I/O processing, communications, user configuration, diagnostics and applications programming. Each Processor has 4 serial ports and 1 ethernet port. It can support multiple protocols (master or slave). It supports 1 ms time stamping and contains the interface to the xCell RTU LAN. Each xCell Processor has the capability to process up to 256 I/O's. Further I/O requirement in the RTU can be accommodated by the addition of processors and thus addition of functionality and maintenance of high performance. Each Processor contains a 32bit 64MHz Motorola processor. It has up to 24Mb Flash RAM (6MB as standard) and 2Mb SRAM.